This is an independent style blog on fashion, jewelry and beauty. 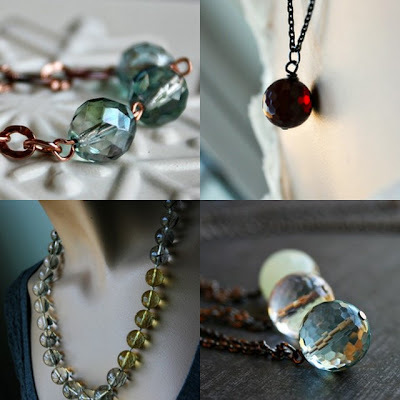 I love to showcase independent and emerging designers. Got a tip? Email me!! Using gorgeous glass and gemstone beads, Pole Star makes some really fantastic simple yet stunning necklaces that really make a statement. How amazing they would look with a clingy deep-v neck sweater...Check out more HERE. Thank you so much! I love your jewelry as well, stunning.